One of, if not the best hostel I have stayed at in South America. Everybody else I met there said the same thing. The staff are so friendly and helpful, I cannot speak more highly of them, they really make the experience at the hostel!! The comunal areas are beautiful, you never struggle to find somewhere to either sit and relax, do some work or interact with other travellers. It's located close to the main plaza. It's very secure. The rooms are spacious, with lockers for your valuables. Muy buen lugar para estar uno o varios días en esta ciudad. Me quedé en la habitación de 8 con baño compartido. Creo que es mejor que la de 8 con baño. Ya que es más espaciosa y con más luz natural. Disponen de 2 cocinas. El personal es muy agradable y atento. 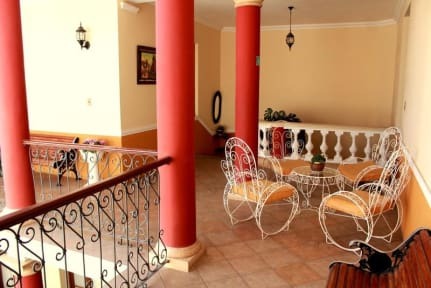 He estado disfrutando mi estancia en villa Oropeza porque la gente es amable y este hostel tiene todas las cosas que se quiere en un bueno hostel... quedase aquí!!!! Great experience all around. Kind, helpful staff and wonderful courtyard. Reasonably priced water bottles and beers, which I greatly appreciate after several weeks of travel where hostels charge sometimes double what you’d pay just across the street for one of these things. One downside, which was specific to my time in Sucre, is that there’s no heating apparatus in the hostel. If it’s cold outside, then you will be cold! Bit too soft beds but besides good value for the money. Might consider to renovate some facilities though. Really lovely stay overall. 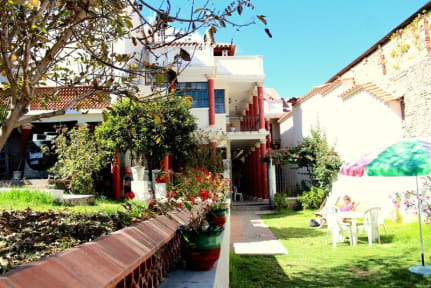 The hostel has many pluses including lovely atmosphere and common spaces, good location, reliable wifi and hot showers. Would highly recommend. Es un muy buen hostel. Todo lo que te dicen que tiene, está. Lo único en contra, pero fue por mí, es que si no sabes ingles perdiste. Ya que todos los huéspedes eran extranjeros y nadie hablaba en español. Y me quede un poco afuera de algunas acciones. Pero por el resto. Excelente. Súper recomendable.